To amend Sections 27-42-3, 27-42-5, 27-42-8, 27-42-11, and 27-42-12, Code of Alabama 1975, relating to the Alabama Insurance Guaranty Association; to conform certain provisions relating to the association to the most recent model act; to define additional terms; to provide for the obligation of the association to pay covered claims before an order of liquidation of an insolvent insurer; to raise the statutory cap for statutory benefits available for a covered claim from $150,000 to $300,000; and to provide for an aggregate cap. (1) Life, annuity, health, or disability insurance. (2) Mortgage guaranty, financial guaranty, or other forms of insurance offering protection against investment risks. (3) Fidelity or surety bonds, or any other bonding obligations. (4) Credit insurance, vendors' single interest insurance, or collateral protection insurance or any similar insurance protecting the interests of a creditor arising out of a creditor-debtor transaction. (5) Insurance of warranties or service contracts, including insurance that provides for the repair, replacement, or service of goods or property, or indemnification for repair, replacement, or service, for the operational or structural failure of the goods or property due to a defect in materials, workmanship, or normal wear and tear, or provides reimbursement for the liability incurred by the issuer of agreements or service contracts that provide such benefits. (8) Any insurance provided by or guaranteed by the government. (1) ACCOUNT. Any one of the three accounts created by Section 27-42-6. (2) AFFILIATE. A person who directly, or indirectly, through one or more intermediaries, controls, is controlled by, or is under common control with another person on December 31 of the year immediately preceding the date the insurer becomes an insolvent insurer. (3) ASSOCIATION. 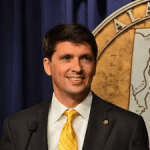 The Alabama Insurance Guaranty Association created under Section 27-42-6. (4) CLAIMANT. Any insured making a first party claim or any person instituting a liability claim. The term does not include a person who is an affiliate of an insolvent insurer. (4)(5) COMMISSIONER. The Commissioner of Insurance of the State of Alabama. (5)(6) CONTROL. The possession, direct or indirect, of the power to direct or cause the direction of the management and policies of a person, whether through the ownership of voting securities, by contract other than a commercial contract for goods or nonmanagement services, or otherwise, unless the power is the result of an official position with or corporate office held by the person. Control shall be presumed to exist if a person, directly or indirectly, owns, controls, holds with the power to vote, or holds proxies representing, 10 percent or more of the voting securities of any other person. This presumption may be rebutted by a showing that control does not exist in fact. a. Any amount due any reinsurer, insurer, insurance pool, self-insurer, or underwriting association, as subrogation recoveries or otherwise, nor shall "covered claim" include any. b. Any first party claims by a "high net worth insured." c. Any amount awarded as punitive or exemplary damages except for punitive damages awarded under the Alabama Wrongful Death Act. d. Any amount sought as a return of premium under any retrospective rating plan. (7)(8) HIGH NET WORTH INSURED. Any insured whose net worth exceeds twenty-five million dollars ($25,000,000) on December 31 of the year prior to the year in which the insurer becomes an insolvent insurer; provided that an insured's net worth on that date shall be deemed to include the aggregate net worth of the insured and all of its subsidiaries and affiliates as calculated on a consolidated basis. (8)(9) INSOLVENT INSURER. An insurer licensed to transact insurance in this state, either at the time the policy was issued or when the insured event occurred, and against whom an order of liquidation with a finding of insolvency has been entered after January 1, 1981, by a court of competent jurisdiction in the insurer's state of domicile or of this state under the provisions of Chapter 32 of this title, which order of liquidation has not been stayed or been the subject of a writ of supersedeas bonds or other comparable order. (10) INSURED. Any named insured, additional insured, vendor, lessor, or other party identified as an insured under a policy. (9)(11) MEMBER INSURER. Any person who (i) writes any kind of insurance to which this chapter applies under Section 27-42-3, including the exchange of reciprocal or interinsurance contracts, and (ii) is licensed to transact insurance in this state. (10)(12) NET DIRECT WRITTEN PREMIUMS. Direct gross premiums written in this state on insurance policies to which this chapter applies, less return premiums thereon and dividends paid or credited to, policyholders on such direct business. "Net direct written premiums" do not include premiums on contracts between insurers or reinsurers. (11)(13) NET WORTH. The total assets of a person, less the total liabilities against those assets as determined in accordance with generally accepted accounting principles. A person's net worth shall be deemed to include the aggregate net worth of the person and all of its subsidiaries and affiliates as calculated on a consolidated basis. (12)(14) PERSON. Any individual or legal entity, including governmental entities. (13)(15) RESIDENCY. For purposes of determining residency in this chapter, the residency of a claimant or insured that is a corporation, partnership, association, or voluntary organization is the state in which the claimant's or insured's principal place of business is located. (14)(16) SELF-INSURER. A person that covers its liability through a qualified individual or group self-insurance program or any other formal program created for the specific purpose of covering liabilities typically covered by insurance. 1. The full amount of a covered claim for benefits under a workers' compensation insurance coverage. 2. An amount not exceeding ten thousand dollars ($10,000) per policy for a covered claim for the return of unearned premium. 3. An amount not exceeding three hundred thousand dollars ($300,000) or the policy limits, whichever is less, per claim for all covered claims. For purposes of this limitation, all claims of any kind whatsoever arising out of, or related to, bodily injury or death to any one person shall constitute a single claim, regardless of the number of claims made or the number of claimants. b. In no event shall the association be obligated to pay a claimant an amount in excess of the obligation of the insolvent insurer under the policy or coverage from which the claim arises. 1. Twenty-five months after the date of the order of liquidation. 2. The final date set by the court for the filing of claims against the liquidator or receiver of an insolvent insurer. d. Any obligation of the association to defend an insured on a covered claim shall cease upon the association's 1. payment, by settlement releasing the insured or on a judgment, of an amount equal to the lesser of the association's covered claim obligation limit or the applicable policy limit or 2. tender of such amount. e. If the association determines that there may be more than one claimant having a covered claim or allowed claim against the association or any associations similar to the association in other states, under the policy or policies of any one insolvent insurer, the association may establish a plan to allocate amounts payable by the association in such manner as the association deems equitable. (2) Be deemed the insurer only to the extent of its obligation on the covered claims and to such extent, subject to the limitations provided in this chapter, shall have all rights, duties, and obligations of the insolvent insurer as if the insurer had not become insolvent including, but not limited to, the right to pursue subrogation recoveries and retain salvage and subrogation recoveries on paid covered claims. The association shall not be deemed the insolvent insurer for any purpose relating to the issue of whether the association is amendable to the personal jurisdiction of the courts of any jurisdiction. (3) Allocate claims paid and expenses incurred among the three accounts separately, and assess member insurers separately for each account amounts necessary to pay the obligations of the association under subdivision (1) of this subsection subsequent to an insolvency, the expenses of handling covered claims subsequent to an insolvency, the cost of examinations under Section 27-42-13 and other expenses authorized by this chapter. The assessments of each member insurer shall be in the proportion that the net direct written premiums of the member insurer for the calendar year preceding the assessment on the kinds of insurance in the account bears to the net direct written premiums of all member insurers for the calendar year preceding the assessment on the kinds of insurance in the account. Each member insurer shall be notified of the assessment not later than 30 days before it is due. No member insurer may be assessed in any one year on any account an amount greater than one percent of that member insurer's net direct written premiums for the calendar year preceding the assessment on the kinds of insurance in the account. If the maximum assessment, together with the other assets of the association in any account, does not provide in any one year in any account an amount sufficient to make all necessary payments from that account, the funds available shall be prorated and the unpaid portion shall be paid as soon thereafter as funds become available. The association shall pay claims in any order which it may deem reasonable, including the payment of claims as they are received from the claimants or in groups or categories of claims. The association may exempt or defer, in whole or in part, the assessment of any member insurer, if the assessment would cause the member insurer's financial statement to reflect amounts of capital or surplus less than the minimum amounts required for a certificate of authority by any jurisdiction in which the member insurer is authorized to transact insurance; provided, however, that during the period of deferment, no dividends shall be paid to shareholders or policyholders. Deferred assessments shall be paid when payment will not reduce capital or surplus below required minimums. Payments shall be refunded to those companies receiving larger assessments by virtue of a deferment or, at the election of any company, credited against future assessments. Each member insurer may set off against any assessment, authorized payments made on covered claims and expenses incurred in the payment of claims by the member insurer if they are chargeable to the account for which the assessment is made. (4) Investigate claims brought against the association and adjust, compromise, settle, and pay covered claims to the extent of the association's obligation and deny all other claims and may review settlements, releases, and judgments to which the insolvent insurer or its insureds were parties to determine the extent to which the settlements, releases, and judgments may be properly contested. (5) Notify such persons as the commissioner directs under subdivision (1) of subsection (b) of Section 27-42-10. (1) Employ or retain those persons as are necessary to handle claims and perform other duties of the association. (2) Borrow funds necessary to effect the purposes of this chapter in accord with the plan of operation. (3) Sue or be sued, and the power to sue includes the power and right to intervene as a party before any court in this state that has jurisdiction over an insolvent insurer as defined by this chapter. (4) Negotiate and become a party to any contracts as are necessary to carry out the purpose of this chapter. (5) Perform other acts as are necessary or proper to effectuate the purpose of this chapter. (6) Refund to the member insurers, in proportion to the contribution of each member insurer to that account, that amount by which the assets of the account exceed the liabilities if, at the end of any calendar year, the board of directors finds that the assets of the association in any account exceed the liabilities of that account as estimated by the board of directors for the coming year. (7) Bring an action against any third party administrator, agent, attorney, or other representative of the insolvent insurer to obtain custody and control of all claims information including, but not limited to, files, records, and electronic data related to an insolvent company that are appropriate or necessary for the association, or a similar association in other states, to carry out its duties under this chapter. In such a suit, the association shall have the absolute right through emergency equitable relief to obtain custody and control of all claims information in the custody or control of the third party administrator, agent, attorney, or other representative of the insolvent insurer, regardless of where the claims information may be physically located. In bringing such an action, the association shall not be subject to any defense, lien, possessory or otherwise, or other legal or equitable ground whatsoever for refusal to surrender claims information that might be asserted against the liquidator of the insolvent insurers. To the extent that litigation is required for the association to obtain custody of the claims information requested and litigation results in the relinquishment of claims information to the association after refusal to provide the same in response to a written demand, the court shall award the association its costs, expenses, and reasonable attorneys' fees incurred in bringing the action. This section shall have no effect on the rights and remedies that the custodian of such claims information may have against the insolvent insurers, so long as such rights and remedies do not conflict with the rights of the association to custody and control of the claims information under this chapter. Except for actions by member insurers aggrieved by final actions or decisions of the association pursuant to subdivision (7) of subsection (c) of Section 27-42-9, all actions against the association relating to or arising out of Act 2009-716 shall be brought in the Alabama state courts. Such courts shall have exclusive jurisdiction over all actions relating to or arising out of Act 2009-716 against the association. (a) Any person recovering under this chapter shall be deemed to have assigned his or her rights under the policy to the association to the extent of his or her recovery from the association. Every insured or claimant seeking the protection of this chapter shall cooperate with the association to the same extent as such person would have been required to cooperate with the insolvent insurer. The association shall have no cause of action against the insured of the insolvent insurer for any sums it has paid out except for those causes of action the insolvent insurer would have had if such sums had been paid by the insolvent insurer and except as provided in subsections (d), (e), (f), (g), and (h) below. In the case of an insolvent insurer operating on a plan with assessment liability, payments of claims of the association may not operate to reduce the liability of insureds to the receiver, liquidator, or statutory successor for unpaid assessments. (b) The receiver, liquidator, or statutory successor of an insolvent insurer shall be bound by settlements of covered claims by the association or a similar organization in another state. The court having jurisdiction shall grant these claims priority equal to that which the claimant would have been entitled in the absence of this chapter against the assets of the insolvent insurer. The expenses of the association or similar organization in handling claims shall be accorded the same priority as the liquidator's expenses. (c) The association shall periodically file with the receiver or liquidator of the insolvent insurer statements of the covered claims paid by the association and estimates of anticipated claims on the association which shall preserve the rights of the association against the assets of the insolvent insurer. (d) The association shall not be obligated to pay any first party claims by a high net worth insured. (e) The association shall have the right to recover from a high net worth insured all amounts paid by the association to or on behalf of such insured, whether for indemnity, defense, or otherwise. (f) The association shall have the right to recover from any person who is an affiliate of the insolvent insurer all amounts paid by the association to or on behalf of such person, whether for indemnity, defense, or otherwise. (g) The association shall establish procedures for requesting financial information from insureds and claimants on a confidential basis for purposes of applying sections concerning the net worth of insureds or first party and third party claimants, subject to such information being shared with any other association similar to the association and the liquidator for the insolvent insurer on the same confidential basis. If the insured or claimant refuses to provide the requested financial information, the association may deem the net worth of the insured or claimant to be in excess of twenty-five million dollars ($25,000,000) at the relevant time. (h) In any lawsuit contesting the applicability of this section or the exclusion from covered claims of claims by high net worth insureds embodied in subdivisions (6) and (7) of Section 27-42-5, where the insured has refused to provide financial information under the procedure established pursuant to subsection (g), there shall be a rebuttable presumption that the insured's net worth exceeded twenty-five million dollars ($25,000,000) at the relevant time. If the court finds that the insured's net worth exceeded twenty-five million dollars ($25,000,000) at the relevant time the court may award to the association attorney's fees and costs. (i) The association and any association similar to the association in another state shall be recognized as claimants in the liquidation of an insolvent insurer for any amounts paid by them on covered claims obligations as determined under this chapter, or similar laws in other states, and shall receive dividends and any other distributions at the priority set forth for policyholder claims in the liquidation proceeding. The receiver, liquidator, or statutory successor of an insolvent insurer shall be bound by determinations of covered claim eligibility under this chapter and by settlements of claims made by the association or a similar organization in another state. The court having jurisdiction shall grant such claims priority equal to that which the claimant would have been entitled in the absence of this chapter against the assets of the insolvent insurer. The expenses of the association or similar organization in handling claims shall be accorded the same priority as the liquidator's expenses. (a) Any person having a claim against an insurer under any provision in an insurance policy other than a policy of an insolvent insurer which is also a covered claim, shall be required to exhaust first his rights under such policy. Any amount payable on a covered claim under this chapter shall be reduced by the amount of any recovery under such insurance policy. an insurance policy, whether or not it is a policy issued by a member insurer, where the claim under the other policy arises from the same facts, injury, or loss that gave rise to the covered claim against the association, shall be required first to exhaust all coverage provided by any such policy. Any amount payable on a covered claim under this chapter shall be reduced by the full applicable limits stated in the other insurance policy and the association shall receive a full credit for the stated limits, or, where there are no applicable stated limits, the claim shall be reduced by the total recovery. Notwithstanding the foregoing, no person shall be required to exhaust any right under the policy of an insolvent insurer. (1) A claim under a policy providing liability coverage to a person who may be jointly and severally liable with, or a joint tortfeasor with, the person covered under the policy of the insolvent insurer that gives rise to the covered claim, shall be considered to be a claim arising from the same facts, injury, or loss that gave rise to the covered claim against the association. a. A claim against a health maintenance organization, a hospital plan corporation, or a professional health service corporation. b. Any amount payable by or on behalf of a self-insurer. (3) To the extent that the association's obligation is reduced by the application of this section, the liability of the person insured by the insolvent insurer's policy for the claim shall be reduced in the same amount. (b) Any person having a claim which may be recovered under more than one insurance guaranty association or its equivalent shall seek recovery first from the association of the place of residence of the insured except that if it is a first party claim for damage to property with a permanent location, he or she shall seek recovery first from the association of the location of the property and if it is a workmen's workers' compensation claim, he or she shall seek recovery first from the association of the residence of the claimant at the time of the accident giving rise to the claim. Any recovery under this chapter shall be reduced by the amount of recovery from any other insurance guaranty association or its equivalent." March 27, 2018 S Assigned Act No. 2018-526.